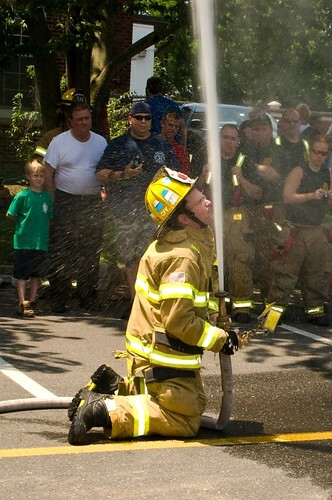 Navesink.Net: Up your nose with a fire hose! Up your nose with a fire hose! 09-D300FieldDay-8103-2, originally uploaded by Kadath. Perhaps one of the coolest and cringe inducing photos I have ever taken! Today was the resurrection of Middletown Township Fire Department's Field Day, which Station 1, Navesink Hook and Ladder Fire Co., hosted.